Nick Jonas Is A 'Sucker' For Priyanka Chopra And His Latest Tweet Proves The Same! 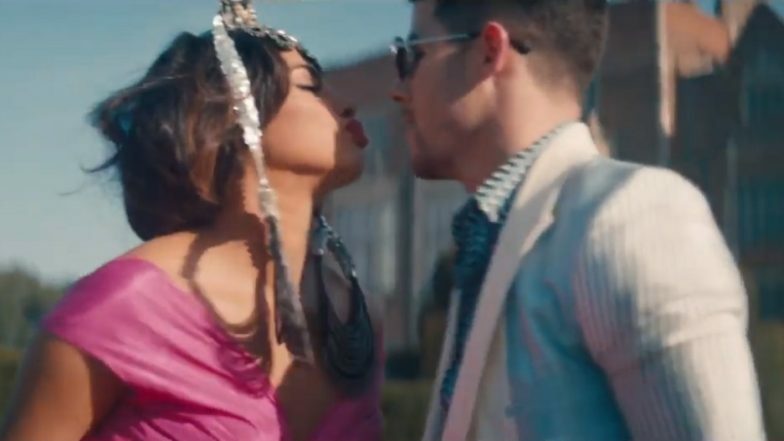 If you've not been obsessed with Priyanka Chopra and Nick Jonas yet then you probably will be after seeing them in the latest Jonas Brother song video. And while you still take your time to fall in love with this cute couple, Nick here cannot stop swooning over his beautiful wife. Although Priyanka and Nick recently got married, three months to be precise, the couple have been upping their relationship game with the constant public display of affection. Be it on social media or on the streets of New York, NickYanka don't mind letting the world know that they are in love. Speaking of PDA, Nick just took to Twitter to express his love for his beautiful wife! As stated earlier, the Jonas Brother had a reunion and released a video along with their song, Sucker. Ever since news of their reunion surfaced, fans did wait with bated breaths for the song. Little did the fans know that the song video will have the Jonas Brothers with their better halves! Sophie Turner, Priyanka Chopra and Danielle Jonas were all part of the video. However, Nick had only eyes for his beautiful wife. To celebrate how lucky he is to be married to PeeCee, the singer tweeted, "My wife is soooooo beautiful in this video!!! How lucky am I?!! #SUCKER @jonasbrothers @priyankachopra"
Well, we do agree with the singer/ actor about Priyanka Chopra. She does stand out in the song video. From her quirky and flashy gowns to her standoffish accessories, Priyanka looks too good to be true! In fact, she looks especially hot by the end of the video as she is about to strip for her husband. Anyway, if you haven't checked out the video then you probably should!